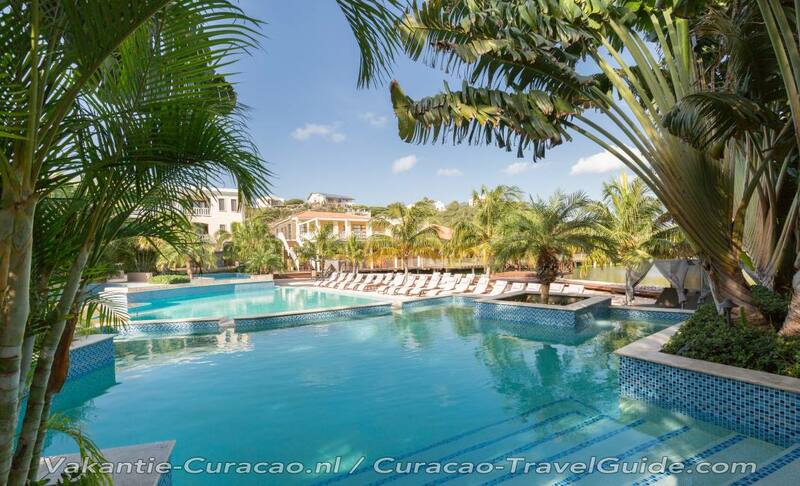 Surrounded by lush and tranquil tropical gardens, this is the perfect choice for those seeking to spend a relaxing stay in the comfort of a luxury 4 star resort. Our luxurious deluxe rooms and gorgeous suites and villas are all spacious and decorated in a cool, contemporary style. These, combined with our cordial and accommodating staff will ensure that your stay with us will be unforgettable. The breathtaking multi-infinity pool boasts poolside service, so you enjoy a glass of wine, cocktail or a delicious lunch. The restaurant also serves fantastic gourmet food. Visit the fitness center for workouts, a massage or indulge in one of our many wellness treatments. 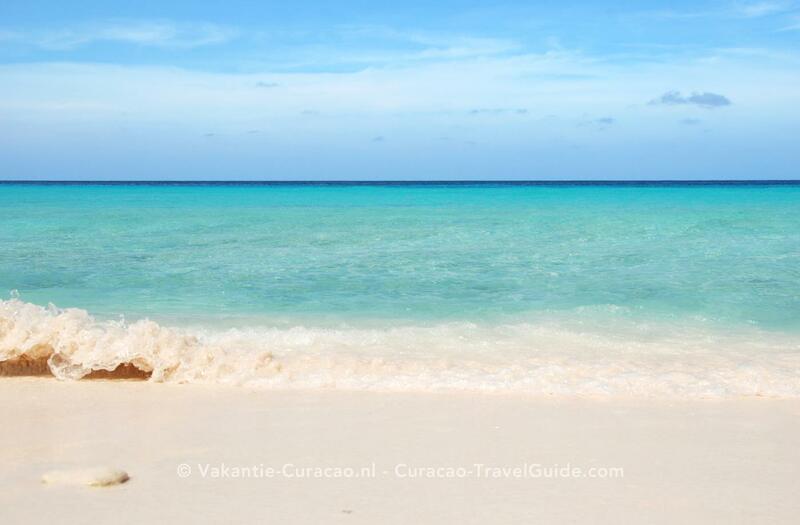 Central location: a stone's throw away from Mambo Beach, Albert Heijn/Vreugdenhil supermarkets and the Salinja shopping area. A wide range of accommodation to choose from: whether it is a luxurious one bedroom suite or villa with private pool; we have something to suit everyone. Would you prefer to stay in one of our fully air-conditioned luxury suites? We offer these with 2, 3 or 4 bedrooms and every one boasts a spacious living and dining area, modern bathrooms, and fully equipped kitchens for those who want to rustle up their own meals and dine in privacy on the balcony or terrace and drink while enjoying the glorious views. Enjoyment goes hand in hand with comfort; and we offer the best of both at ACOYA Hotels Suites and Villas. 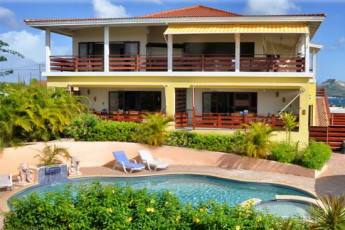 Our spacious luxury villas come both with and without private pools, and are all fully air conditioned. 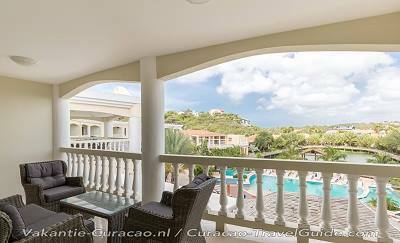 They all have a terrace, living and dining area, 1, 2, or 3 bedrooms and 1 or 2 bathrooms. Every villa has spacious kitchens equipped with all the necessary kitchen utensils and appliances. Have your own favorite treatment or if you fancy trying something different. Treat yourself in the beauty parlor, hit the machines in the fully equipped gym or kick back and relax in the sauna. 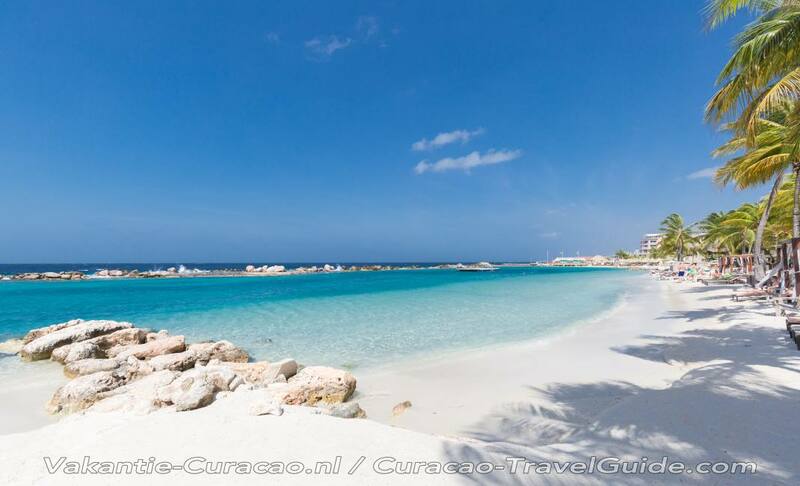 Acoya Curaçao Resort, Villas & Spa now offers All Inclusive. That means unlimited enjoyments. 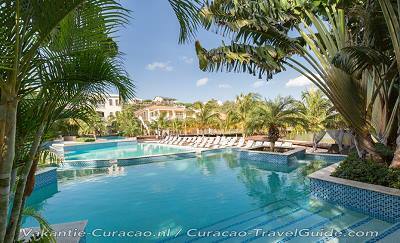 The All Inclusive program consists of local (non-) alcoholic drinks, meals, snacks and a daily refilled minibar. Breakfast, lunch and dinner are served in the daily buffet restaurant. Do you prefer à la carte dining? Then you are welcome in the Italian La Lagoon Trattoria or the Steak House Lake Side Grill (every day 1 a la carte restaurants open). The free shuttle to Willemstad and Mambo Beach with free access to Madero Beach Club complete the picture. Children until 12 years old are completely free. (max. 2 children). 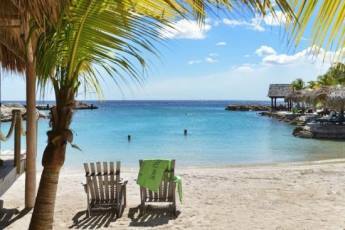 The resort also offers 1000 USD resort credit to receive discounts on several outlets and facilities of the resort such as a romantic dinner, Spa treatment and many more. Hours: Dinner - every other day, 6:30pm-10:30pm. Description: Serving a la carte Italian dishes for dinner. No reservation is required. Description: Serving a la carte steak for dinner. No reservation is required. Description: This is available in La Lagoon Trattoria. *The wine cellar is open for private dining. Reservations required. Extra charges apply.